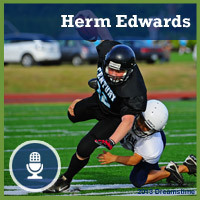 Hear former NFL coach Herm Edwards discuss how making an impact starts at home. Divided loyalties hinder people. Sharing your disapproval of a coach with your children puts them in a bind. Conversely, when parents support a coach, it is easier for children to put forth maximum effort. 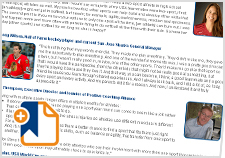 If you think your child's coach is mishandling a situation, do not tell your child. Ask for a meeting with the coach. After a game, remember that silence is OK. Your children will open up to you when the time is right (even if it takes a little longer than you might expect). Give them that time. 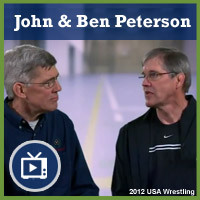 Watch Olympians John and Ben Peterson discuss how as parents to give encouragement. Great players have the ability to "leave it on the field." After a game, regardless of the result, move on to something else your child will enjoy. 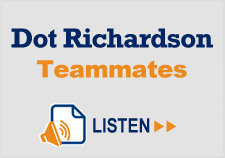 Listen as Olympic softball player Dot Richardson talks about how the team left a critical loss on the field to bounce back and win the Gold Medal. When talking sports with your kids, keep it a conversation among equals. Get them to share their thoughts with you rather than telling them what you think. 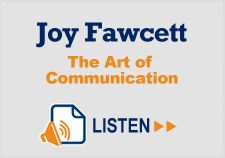 US Women's Soccer and Olympic Medalist Joy Fawcett talks about the art of conversation in sports. Courage isn't the absence of fear - it's doing what is right in spite of the fear. Encourage your children to see scary situations as opportunities to develop courage. 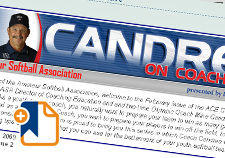 Former Olympic Softball head Coach Mike Candrea shares his thoughts on building confidence in youth athletes. Let there be an Off Season! Let there be an off-season. Do something fun with your child that has nothing to do with sports. We asked parents in a previous issue of Fundamentals, don't we all need an off-season? Steady your gaze on the Big Picture, not temporary on-field victory, but long-term character development that will help your children throughout their lives and enable them to help your grandchildren. Olympic wrestling medalist Zeke Jones talks about character edutation in sports. If you find yourself repeatedly feeling like you have to let the official know he's made a bad call, sign up to officiate next season. It's not easy to be an official. Watch as athletes try their turn as an official in practice. Consider what you look like on the sideline during the game. Kids sneak looks at their parents more than we realize, and body language speaks volumes. Read more about the power of the stands. Avoid yelling verbs. When you're watching a competition you should enthusiastically support all the players. Cheer their effort and successes, but if you are yelling verbs like "run, throw, kick, pass," you are coaching. 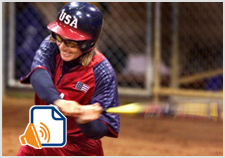 USA Softball Olympic Champion Jessica Mendoza talks about the type of feedback kids wish their parents would share. Great players have the ability to leave it on the field. After a game, regardless of the result, move on to something else your child will enjoy. Youth athletes have a special ear for their parents' voices. Realize this during games, and make sure what they hear from you is not conflicting with coaches' instructions and intentions. Consider yelling positive, tank-filling comments for your athlete and her team. Maintain a "Magic Ratio" of five truthful, specific praises for every one specific, constructive criticism. If you do, you fill find out why it's called that, because children will be able to do things you wouldn't have thought possible. A youth football coaches demonstrates the Magic Ratio on the field. Fill your children's Emotional Tanks. Like a car's gas tank, an empty Emotional Tank won't take us far, but when the Tank is full we can keep running. Even collegiate coaches like Ruger's Greg Schiano works on filling athletes emotional tanks. To excel, your children must love the game enough to work at it. Pressuring them to excel can sap that love. You can nurture this love of playing by noticing and recognizing them for specific things they're doing well. 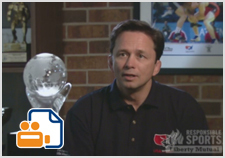 Ken Martel, Director of the American Development Model for USA Hockey, talks about how to prevent burnout and preserve the passion for the sport. Let your kids know that whether or not they win or lose, you will still love them and will be proud of them. Kids see how much their parents are investing (time and money) in their sports, and they worry they'll upset their parents with anything other than victory. Courage isn't the absence of fear, it's doing what is right in spite of the fear. Encourage your children to see scary situations as opportunities to develop courage. It is the responsibility of players and coaches to try to win. You have a much more important responsibility: making sure your children draw from sports the lessons that will help them become successful, contributing adults. You can help your athlete by focusing on effort goals and leave the outcome goals to the players and coaches. Let your children enjoy the "Romantic Stage" of sports, and resist the urge to put rush them into overly competitive settings too soon. Steve Fraser, USA Wrestling National Team Coach, encourages parents to relax and allow their child to own their youth sports experience. Your children's youth sports experience will end, and it may happen suddenly. Hopefully, you will not look back and think, "I wish I had enjoyed it more instead of obsessing over performance, or playing time or the team's record." Enjoy the experience; it will end too soon. USA Women's Hockey Olympian Michelle Amidon talks about the journey.